In an effort to stay on top of loss cost trends, new product forms, and regulatory changes, many P&C insurers utilize ISO advisory loss costs, rules and forms. However, while ISO content is invaluable, the processes traditionally used to leverage this information and keep up-to-date are manual and inefficient. 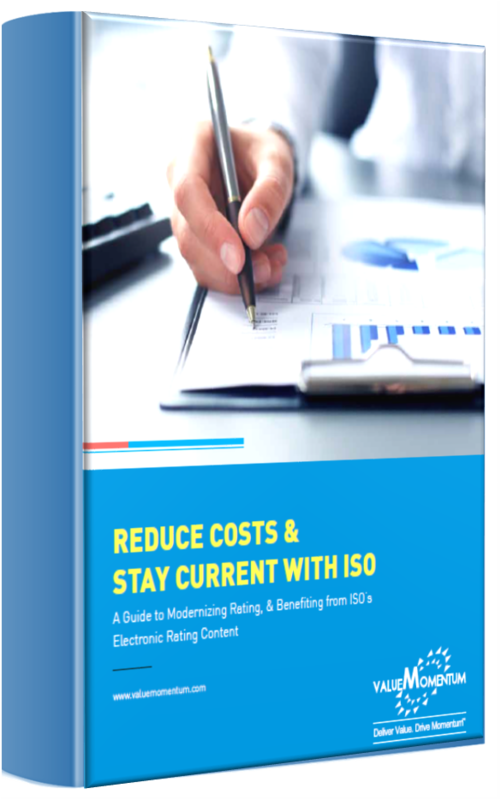 To this end, ISO developed ISO Electronic Rating Content (ERC), designed to speed up the process of interpreting and taking on ISO changes in an attempt to help its insurer partners. ISO ERC, when combined with the right technology, can be a powerful tool in the hands of insurers. However, many insurers have not fully utilized ISO ERC, in large part because they lack a modern rating engine that can seamlessly integrate this content. Download our complimentary guide to get the full picture on key considerations and factors involved if you are considering upgrading to a modern rating engine.